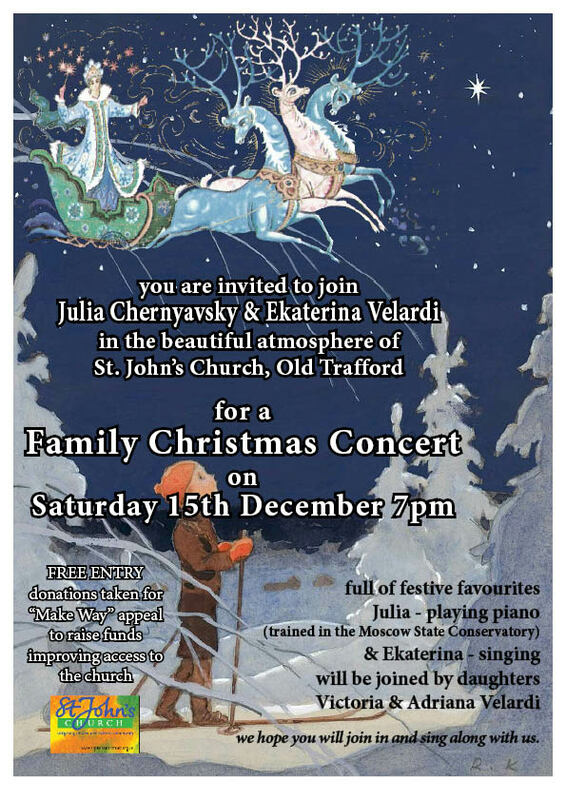 Everyone is welcome at St John’s Church for our Christmas concerts on Monday 10th December and Saturday 15th December. 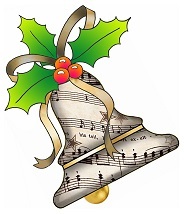 For full details of the church’s Christmas programme, download our Christmas card. 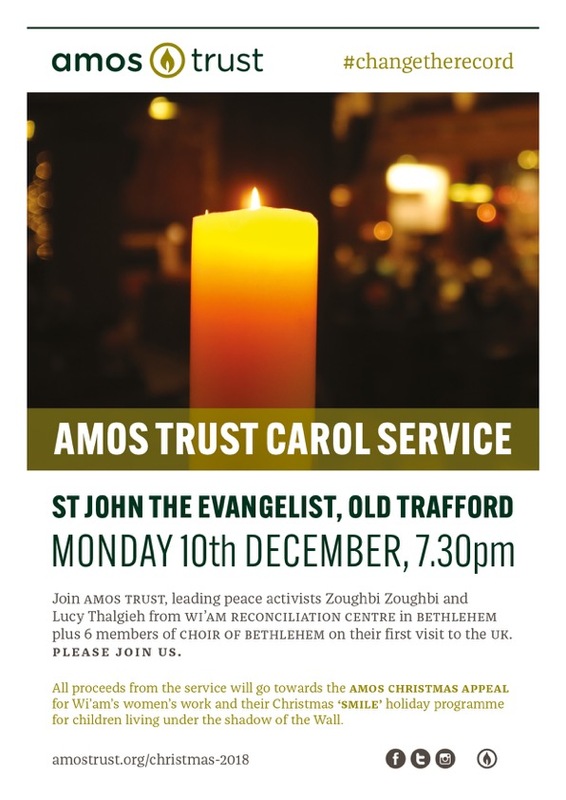 Join us for a very special advent carol service with six members of the Choir of Bethlehem, in aid of Amos Trust’s Christmas Appeal. For more information, visit the Amos Trust website. Free entry – donations taken for the church’s “Make Way” appeal to improve accessibility.